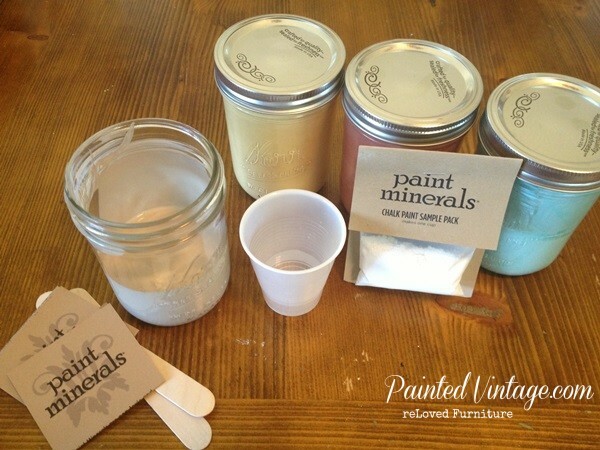 I wanted to share with you a quick tutorial on how to mix Paint Minerals™ into your own Chalk Style Paint. First, what is Paint Minerals™? Well, if you are not familiar with it, Paint Minerals™ is a non-toxic blend of plant and mineral ingredients that will turn ordinary latex paint into decorator-style paints. You can read more about it here. Besides the affordable price point, another reason why I love using Paint Minerals™ is you can mix as little or as much as you need. 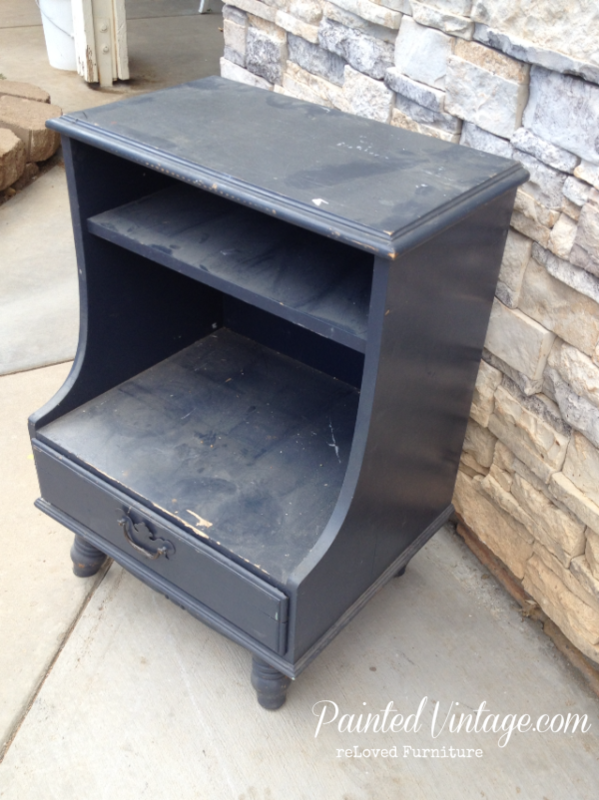 Today I’m painting this small nightstand, so I am only going to make a one cup mixture. 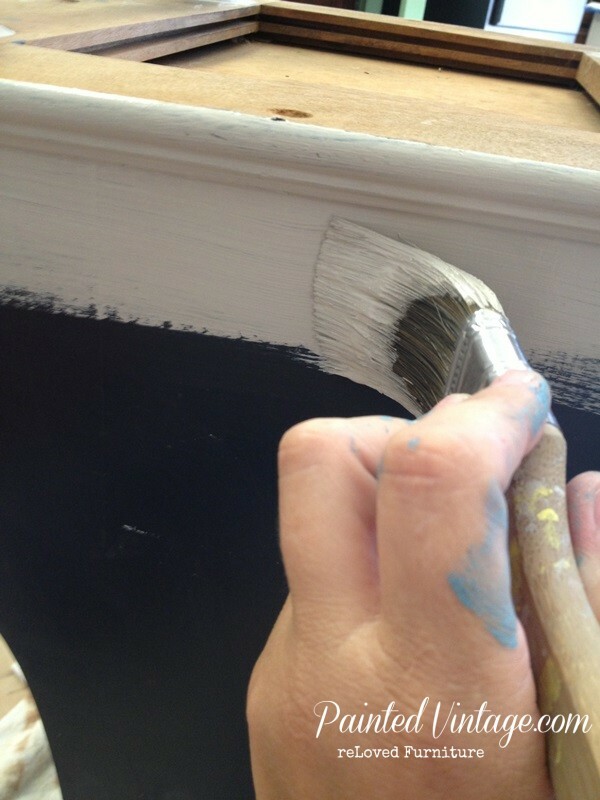 Start with 1 cup latex paint. I love to store my paint in canning jars. 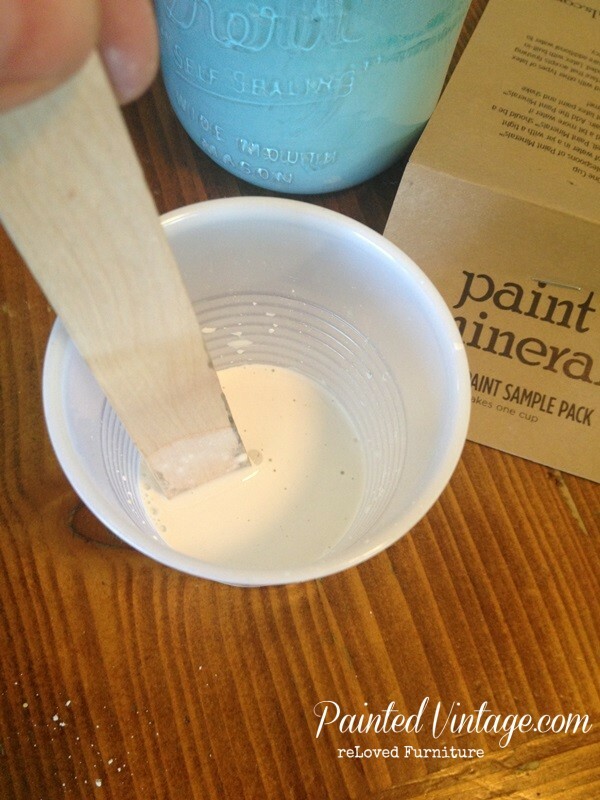 Mix 2 tablespoons of Paint Minerals™ into about 3 tablespoons of water. I’m using the pre-measured sample pack. Easy Peasy. Stir mixture well, making sure there are no lumps or undissolved powder. Pour the mixture into your latex paint. Stir Well. Then replace the lid and shake well. I may or may not be an over-mixer, but the last thing I want is to be happily painting along, and BAM! I just used some paint, that had no Paint Minerals™ mixed in and now my picture is forever plastered all over EpicPaintFail.com!! So, just like you can’t over boil an egg, I’d rather be safe than sorry! QUART- When mixing Paint Minerals™ by the quart, I separate my paint into 2 smaller batches to ensure the best possible blend. You will need an empty jar (or other container) that holds more than 1 quart. 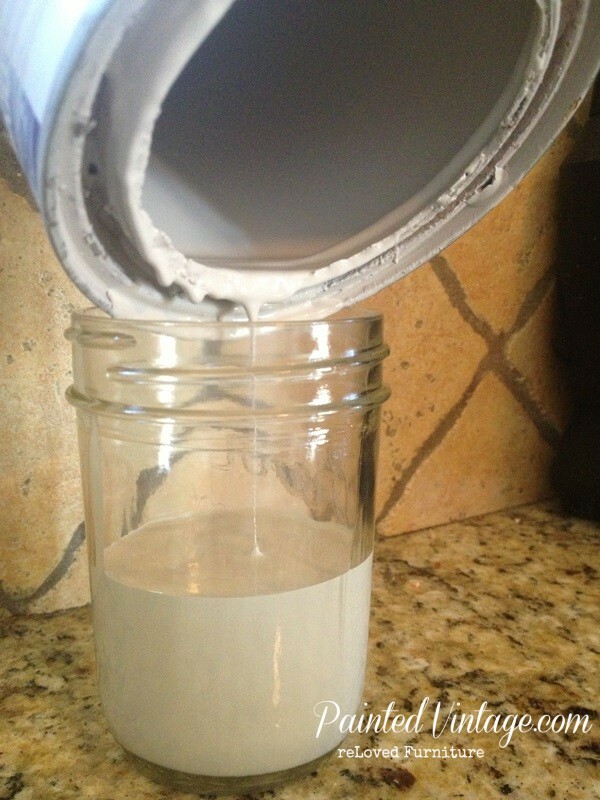 Pour only half the quart of latex paint into the jar, leaving the quart can half full- so you now have 2 batches. 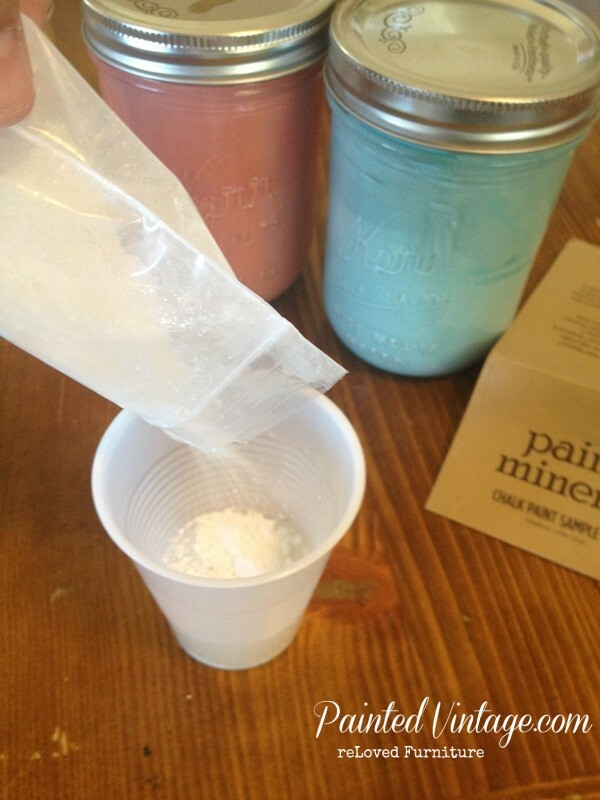 In a small cup, mix 1/2 cup Paint Minerals™ powder with 4 tablespoons of water. 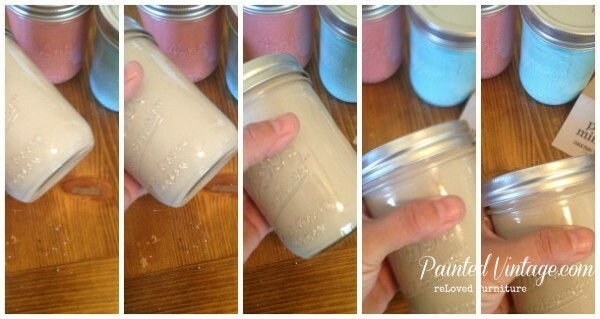 Then pour half of your Paint Minerals™ mixture into the jar of paint and the other half into the quart can. STIR BOTH WELL. Then Shake Both Well. Now mix both batches together in the jar. 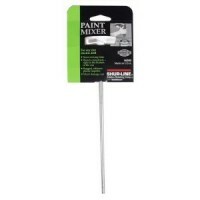 If you are concerned about under mixing, you can always use a paint mixer paddle that attaches to your drill. One like this can be picked up from your local hardware store for about $2.00 I have several, but have never used them! 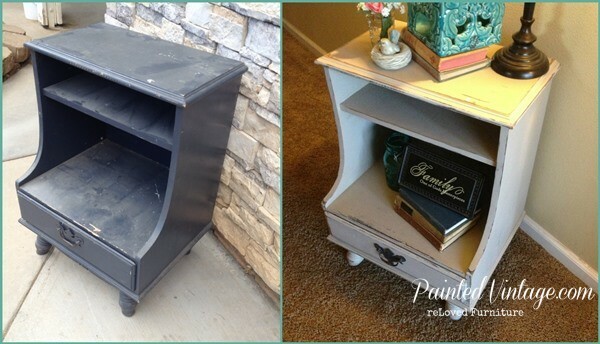 Here’s a look back at the before and after of my reLoved nightstand. Thanks for reading along! I’d love to hear your feedback! 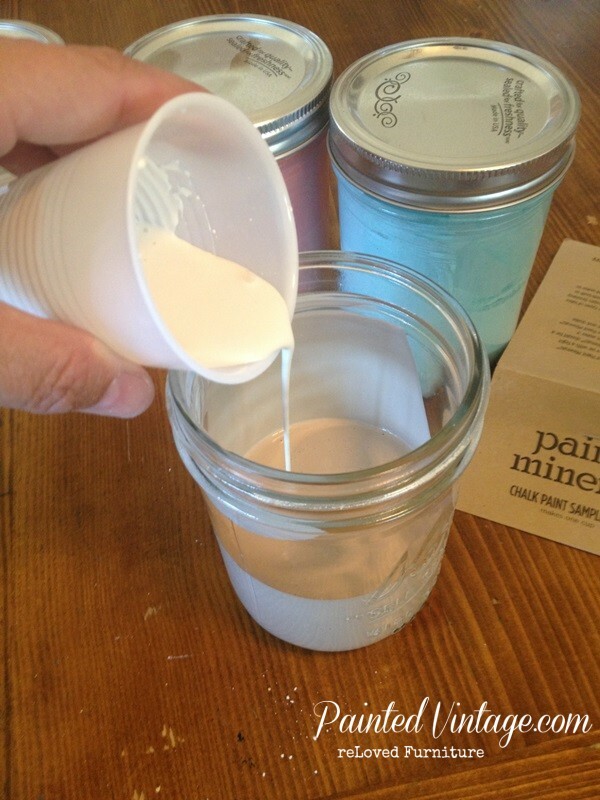 Would you be more likely to try a packaged Chalk Paint Additive, or a homemade blend? Will this formula work on fabric and leather same as Annie Sloane does? 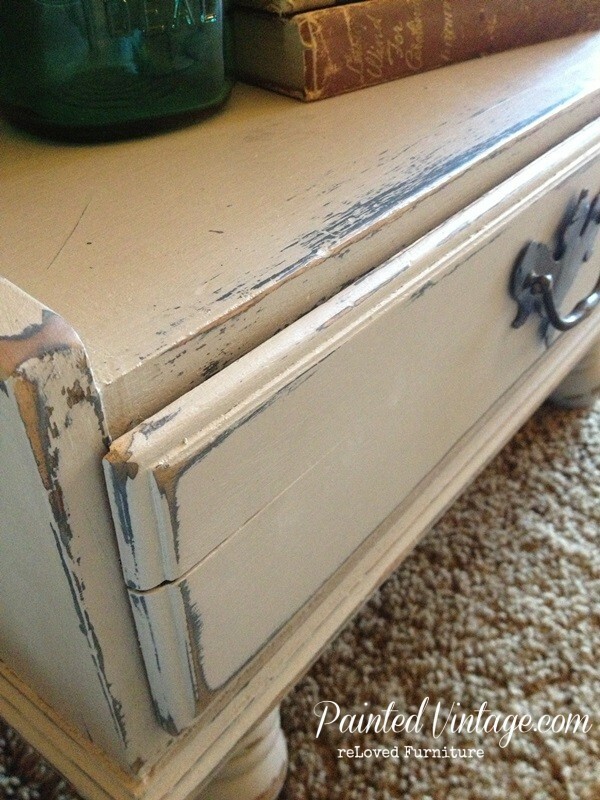 Did you finish your nightstand with anything after painting and distressing, such as paste wax or polyurethane? If so, what product did you use to finish? The nightstand looks awesome. Hi Barbara- nope! 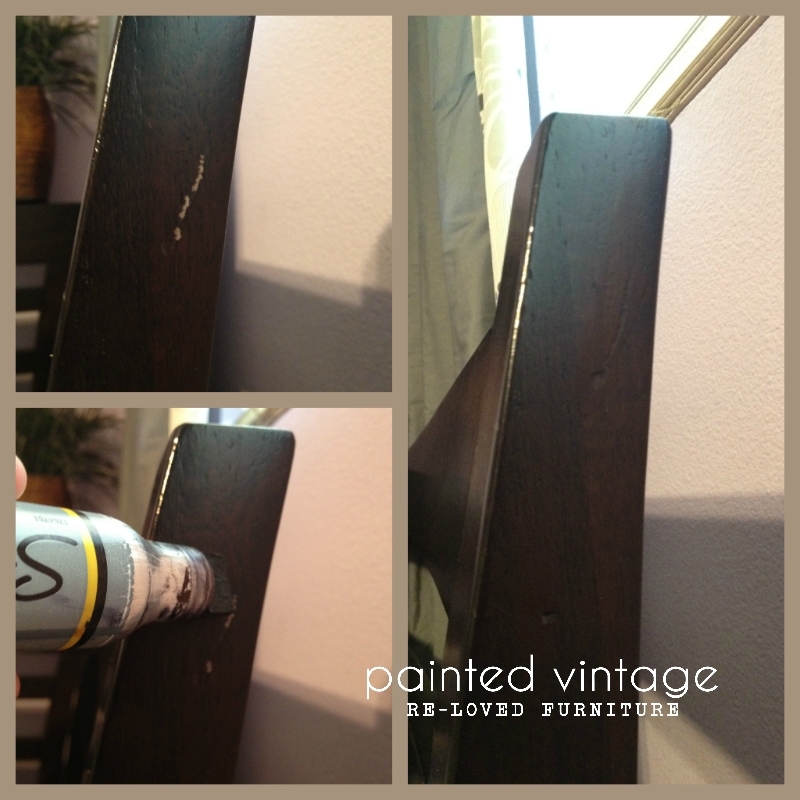 I did not apply any kind of top coat sealer over this. 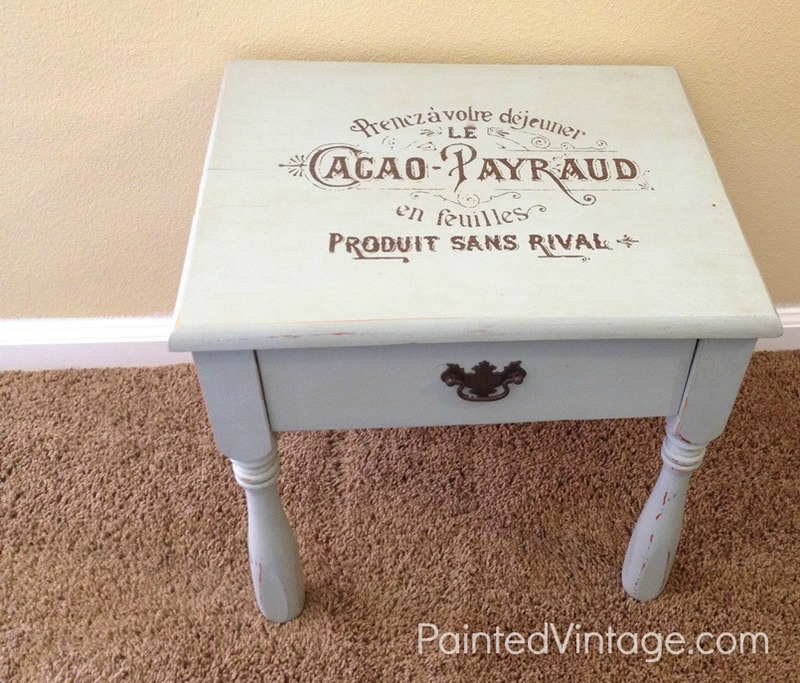 I just used an eggshell paint, and I LOVE the finish as-is!! I’m working on a varnished coffee table, using an acrylic latex interior paint, sanding between coats, and then adding 2 coats of the Americana Decor ultra matte varnish. It’s leaving brush streaks. Can I just add this to my paint and paint over it? Or should I sand and/or degloss it since there are so many coats on it now? I just got your paint minerals in the mail and I’m ready to get started!